The following story was reported by DigiTimes which means it needs to be taken with a grain of salt. Did we mention that this is pure speculation? DigiTimes was told by sources connected with Apple's upstream supply chain, that on March 7th when the company is expected to introduce the third generation of its tablet, it will also roll out an 8GB version of the Apple iPad 2. The reason behind this move is for Apple to have an offering at both the low and high-end of the tablet market so that it can compete with low priced tablets like the Amazon Kindle Fire and its successor, due to launch as soon as May. Since the $199.99 Amazon Kindle Fire was launched in November, the Apple iPad 2 easily outsold its lower priced competition in the holiday quarter. Still, some reports showed that the Kindle Fire had moments when it did outsell Apple's tablet. 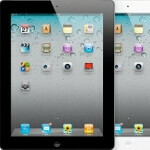 The new report said that Apple would introduce both a 16GB and 32GB version of the iPad 3 but did not explain the absence of the 64GB variant. Apple, claimed DigiTimes,. has been aggressive in ordering units of the tablet with Q1 shipments expected to double from the original estimate. 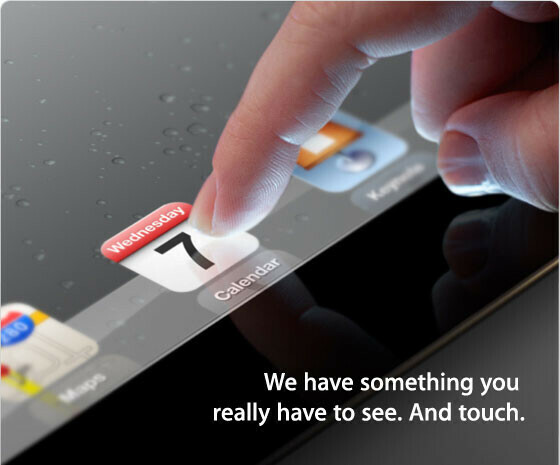 As we told you, Apple has sent out invitations for an event on March 7th to announce the Apple iPad 3. The new tablet is allegedly coming to market with a Retina display panel that has a pixel density of 264ppi (yes, it is under the 300ppi cap for Retina display as laid out by the late Steve Jobs. But some leeway is given for a tablet since it is viewed from more of a distance than a smartphone is). Other upgrades to watch for next week include the improved camera, faster processor and possible LTE connectivity. Other speculation centers on an Apple iPad 3 with a smaller 7 inch display to be released at a different event later in 2012, in order to challenge the lower priced Android tablets. I just coined 'Apple Fatigue'! Tired of all the hype only to be disappointed! I'll wait and see what they have to deliver! Personally ... I think this is a smart move. 1. A lower price to entice those on the fence because they can only afford a Fire ... but really want an iPad. 2. With all of this "cloud" stuff ... the need for a "ga-zillion" GB local storage is not really needed so much. You just swap in/out via the "cloud" what you want/need and call it good. It'll have SIRI. I have heard that the reason the iPhone 4 and iPad 2 do not have SIRI is because a new voice recognition chip was put in the 4S. Putting SIRI on the iPhone 4 would produce too many false responses. (At least this is the excuse Apple is giving us.) I would think Apple would have put that in the iPad3/2S (whatever they call it). Sounds like Apple is about to play us all for fools again and try to sell you a 8GB IPad 3 for $499 so they can justify selling the 16GB version for more than the previous year's 16GB IPad 2. 8GB for a tablet? That's a joke.